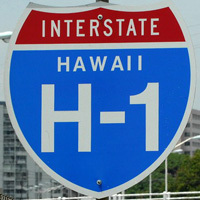 Interstate H-1 is the longest of the four Hawaiian Interstates. 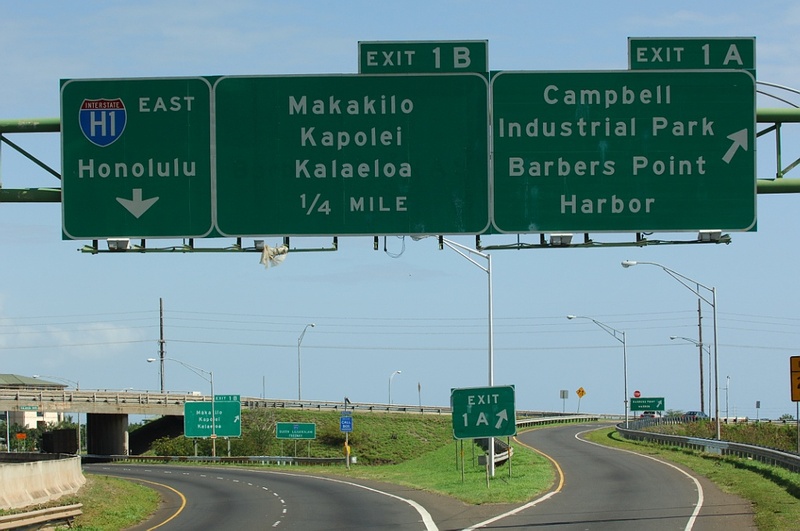 The mostly urban freeway joins Makakilo City and the west shore of Oahu with Ewa, Waipahu, Pearl City, Downtown Honolulu and Waialae on the south shore. The freeway provides the most direct route to Honolulu International Airport (HNL) and Hickham Air Force Base via the Hawaii 92 freeway spur. Interstate H1 includes the operation of the AM Contraflow Zipper Lane which provides an eastbound HOV lane during the morning commute hours in the place of two westbound lanes. 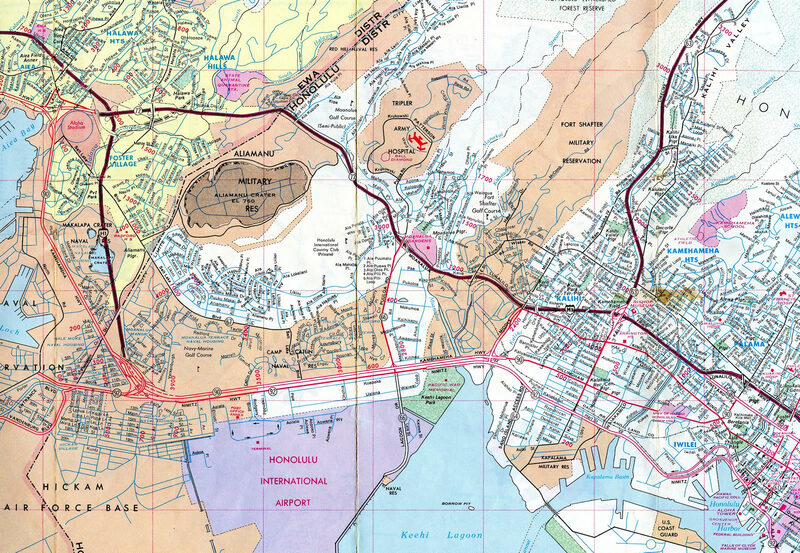 1979 map showing the incomplete H1 freeway by Honolulu International Airport (HNL). The Moanalua Freeway (Hawaii 72 then) defaulted as the through route between Aiea and Honolulu at this time. The I-H1 viaduct by Honolulu International Airport (HNL) was built over Hawaii 92 (Nimitz Highway). The freeway also overtook Hawaii 90 directly along the Kamehameha Highway. 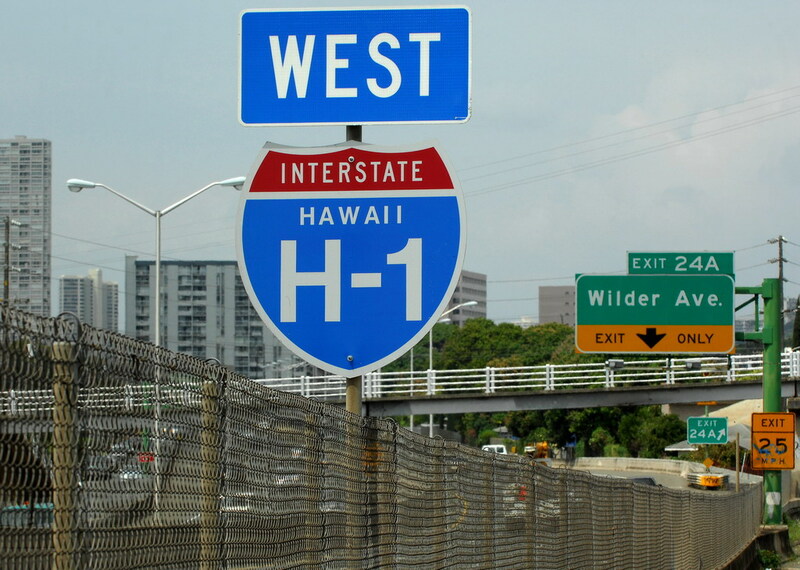 Interstate H-1 was first authorized as a result of the Statehood Act of 1960.1 A portion of the freeway was completed in 1959 between Punahou Street (Exit 23) and King Street (Exit 25A). It was signed as Hawaii 72. 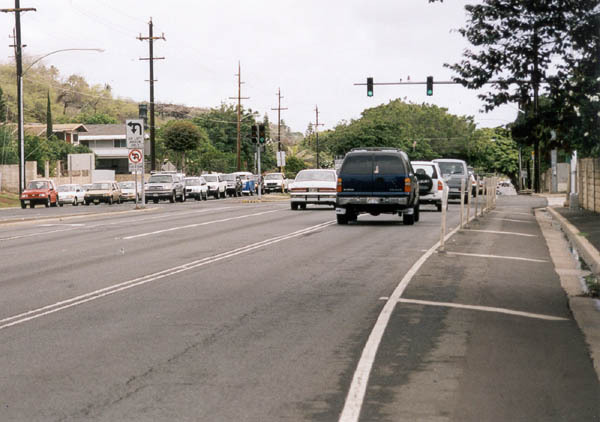 A short extension followed in 1960 from Punahou Street west to Ke’eaumoku Street. 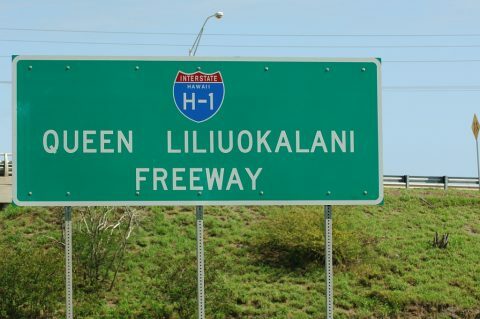 Interstate H1 signs were posted by 1967 along side Hawaii 72 and the Lunalilo Freeway. It was open from Kunia Road (Exit 5) to Kamehameha Highway (Exits 8A/B), from the east end of the Moanalua Freeway (I-H201) to Pele Street (Exit 21B), from King Street to Koko Head Avenue (Exit 26A). 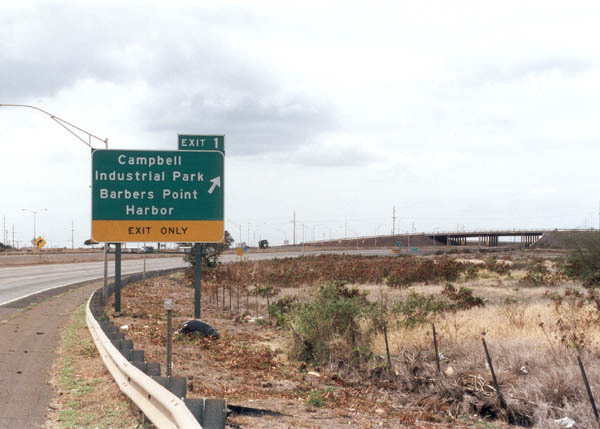 Completion of the route occurred in 1986 with the opening between Nimitz Highway (Exit 18A) and Middle Street. See the Interstate H1 guide on AARoads for a more detailed time line. Ramps separate from Interstate H-1 eastbound beyond the transition from Hawaii 93 to Barbers Point and Makakilo City. Photo taken by Jeff Royston (02/01/06). Signs posted at both ends of Interstate H-1 designated it as the Liliuokalani Highway. The eastbound assembly precedes the loop ramp for Farrington Highway, a local route east to Makakilo City and Waipahu. Photo taken by Jeff Royston (02/01/06). Westbound Interstate H-1 reaches Exit 1 for Farrington Highway east and Barbers Point Harbor. The freeway connects with Hawaii 93 north ahead of the intersection with Laaloa Street. Photo taken by Oscar Voss (11/01). Interstate H-1 concludes eastbound at the intersection with Ainakoa Avenue in eastern Honolulu. Hawaii 72 (Kalanianaole Highway) takes over from the freeway end along an at-grade boulevard. Photo taken by Oscar Voss (11/01). Hawaii 72 (Kalanianaole Highway) ends as Interstate H-1 (Lunalilo Freeway) begins westbound from the intersection with Ainakoa Avenue in Honolulu. Photo taken by Oscar Voss (11/01). Voss, Oscar. “Interstate H-4 proposal in the 1960s, and other Hawaii Highways site updates.” Online posting, misc.transport.road, September 17, 2003. Voss, Oscar. “Jeff Royston’s e-mail address, and minor comments on H-1 Interstate Guide.” Personal Email, 06/09/06. PM Contraflow – Overview, HawaiiDOT project web site.